I recently went to see Blanc de Blanc Encore at the Sydney Opera House and almost instantly became enthralled with all the magic of Parisian culture. The music, the romanticism, the accents. I could see myself sitting across from the Eiffel Tower drinking coffee (black, of course) and eating a croissant, radiating the chic carelessness of a Parisian woman just going about her life. While the show was quite possibly the best cabaret I’ve personally been to, with its Parisian glamour, risqué humour, sensual decadence and brilliant audience participation; this is not a review for Blanc de Blanc Encore (although, I do highly advise you go and watch the show). What we should turn our attention to is the society of Francophiles that we have produced based on a romanticised view of a culture, and more importantly, the fetishizing of its women. Admiring French women for all the social, cultural and personal attributes that make them appealing is not the issue here. Women admiring women should always be celebrated. 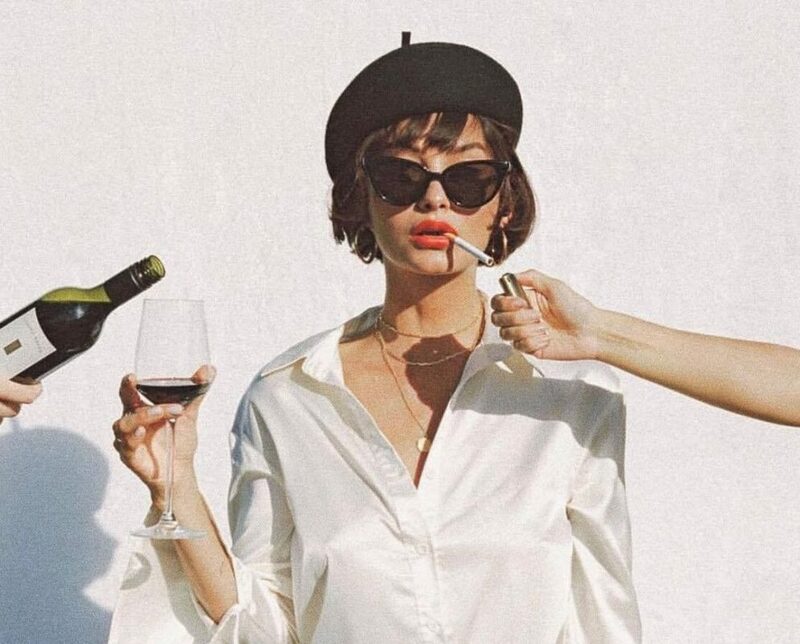 Yet, the idea that the Western world has collectively agreed that the “French woman look” is the peak of femininity and allure that we should be striving for… now that doesn’t sit quite well with me. Imprinted in our understanding of Parisian femininity is that you mustn’t try too hard because then you’ve got it all wrong, but you have to try a little bit to get that effortless look. That, apparently, it’s utterly French to want people to look at you but you can’t ever let them know that you can see them looking because then the illusion of carelessness will be broken. Yet, if you’re trying to act like a French woman – you’ve already failed. The French woman obsession is perhaps a little dark, if you think about it. We’ve essentially built an ideal, fictional woman and just decided that that was how all French women behaved. This is not to blame glamorous French women or suggest they become less of themselves; they’re allowed to be whatever they want to be. Nor am I criticising the cultural and social aspects that shaped their manner of being; but how about we just allow them to exist without the fetishization. I mean, do we allow everyone to assume Australian women look like Jennifer Hawkins, surf every morning and constantly smell like coconut oil, sea salt and dreams? Admiration and appreciation is something I’m fairly certain will never fade for French women, but let’s all consider abandoning our efforts to become Parisian and just be ourselves instead. I see no need to put on a performance every minute of your life, hand-cuffing yourself to desires of womanhood based off stereotypes and idealised falsehood. Let’s allow French women to be French in any way they see fit, while we do the same for ourselves. Are you guilty of having a French obsession? Let us know down below!